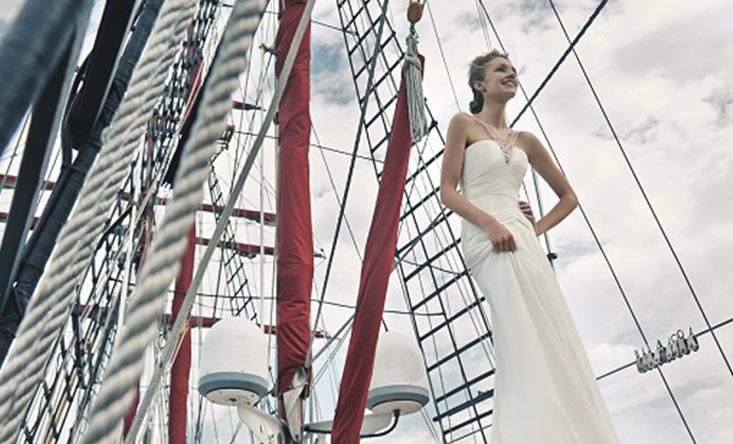 Look gorgeous in any of these lightweight, breezy gowns when you say “I do” on board a luxurious yacht or by a pretty seaside. 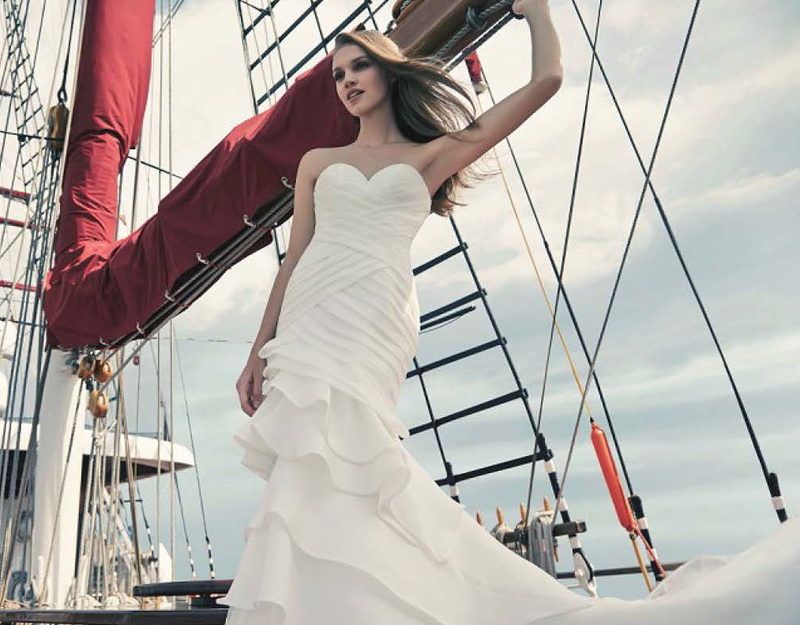 Whether you’re looking to have an intimate wedding aboard a yacht, or take unique wedding photos on the high seas, don’t miss these creations that look good, and enable you to move around easily. Plus, don’t miss these tips to making your time on board a wonderful experience (http://www.herworldplus.com/weddings/ideas-we-love/pic-day-wedding-photo-shoot-board-cruiseship). 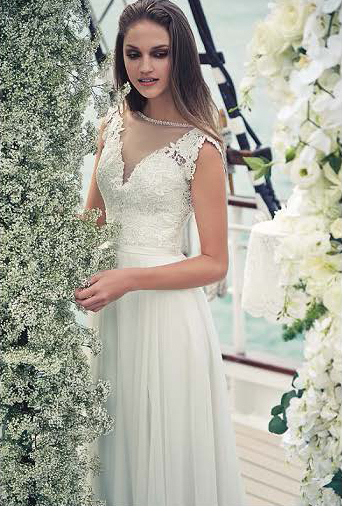 Beaded tulle A-line gown with floral applique, price upon enquiry, from DIGIO BRIDAL. Special thanks to: Pete, Prita, Helena & Tian from Tall Ship Adventures. This spread was first featured in Her World Brides September – November 2015.